Most damage to a property during severe weather occurs when limbs or trees fall. High winds and saturated soil conditions typical of summer storms can cause tree roots to fail and branches to weaken. During winter, the weight of ice and snow accumulation can be equally damaging, resulting in failure of branches and entire trees. None of this is any easy experience for a homeowner. That is why pre-storm strategies are recommended to identify potentially hazardous conditions and to help reduce the risk of damage before harsh weather occurs. Based on what is found, appropriate treatments can help trees and shrubs better endure weather events. 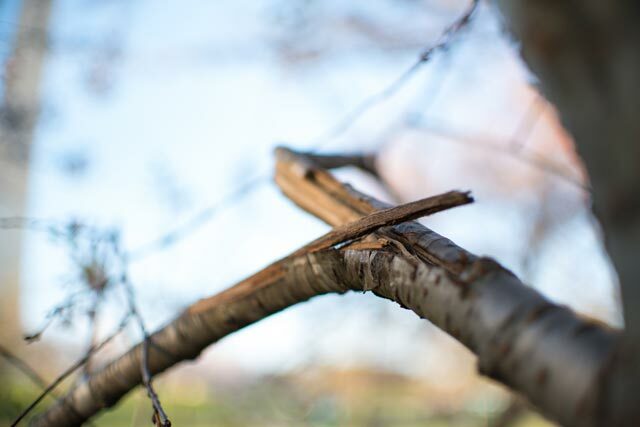 When there is an issue with the tree's structure, installation of cables or braces can help the tree's ability to withstand high winds or heavy snow. Pruning can also help with this and it is essential for removing any dead or hanging limbs that may pose a threat. Lightning protection is another alternative for high-value trees or those close to structures. 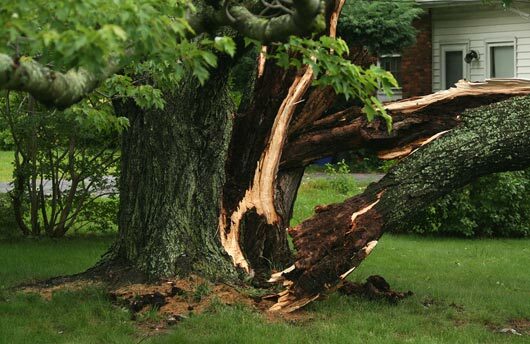 Following severe storms, Bartlett’s first priority is responding to existing clients to provide emergency services including removing trees from houses, clearing roads, and driveways, and pruning or removal of trees that could lead to personal injury or additional property damage. Bartlett’s position as an international company with substantial resources provides us with the unique ability to mobilize crews and equipment from unaffected regions to address the emergency needs of clients in storm damaged areas as quickly as possible. Once emergency services are complete, crews begin the process of clean up and repair on storm-damaged plants. Even if your trees do not exhibit obvious damage, it is important to have them inspected by a certified arborist who may detect symptoms and conditions that could lead to problems later. Treatment recommendations on storm damaged plants will depend on the type and extent of damage, plant health, species considerations, and potential for a reoccurrence of failure. Where pruning is recommended to restructure the crown, a process known as crown restoration, the plant will often require a series of pruning over a period of years to restore a desirable form and a strong structure. Trees that are leaning following storms indicate significant root damage. Small plants may be successfully straightened and guyed, but larger trees could be at risk of future failure. These plants require thorough evaluation to determine whether removal or treatment is required.